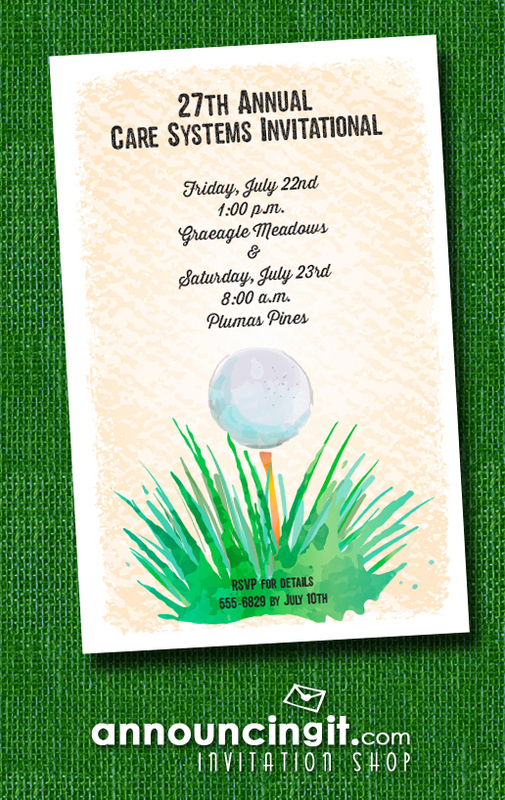 Golf themed party invitations are perfect for company golf outings, golf themed birthday parties, retirement parties or any occasion for a golf enthusiast as the guest of honor. You can use the wording we have shown or change it up to fit your own occasion. 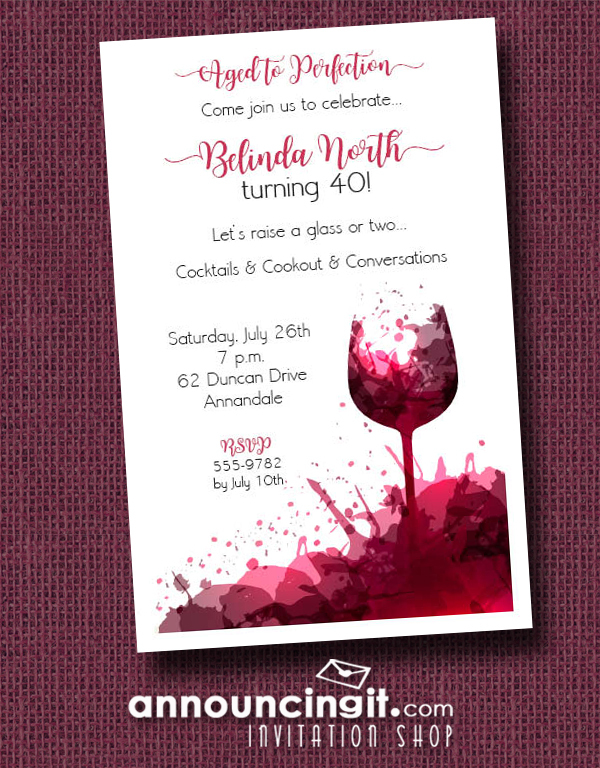 Summer is the perfect time for a party! You really don’t need a reason, just invite the gang over. 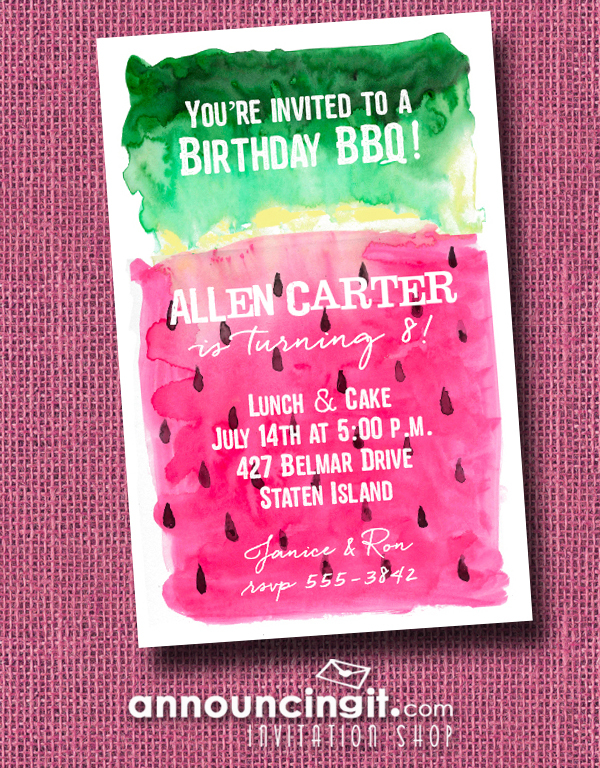 Our watercolor of a slice of watermelon invitations are great for any warm weather occasion including barbecue invitations, picnic invitations, summer invitations, birthday invitations, 4th of July party invitations and more. We feel birthdays should be celebrated every year at every age, and milestone birthdays should always be a fabulous bash that creates memories of your special day long after it has passed. Children count their ages in months and “almost” and as adults, we need to grab some of their enthusiasm and count all of our birthdays as the special day they are. 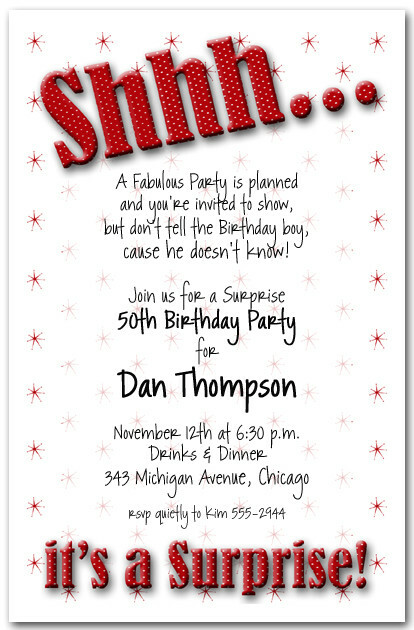 On our shimmery grunge birthday invitations, the age can be changed to any age, young or old. 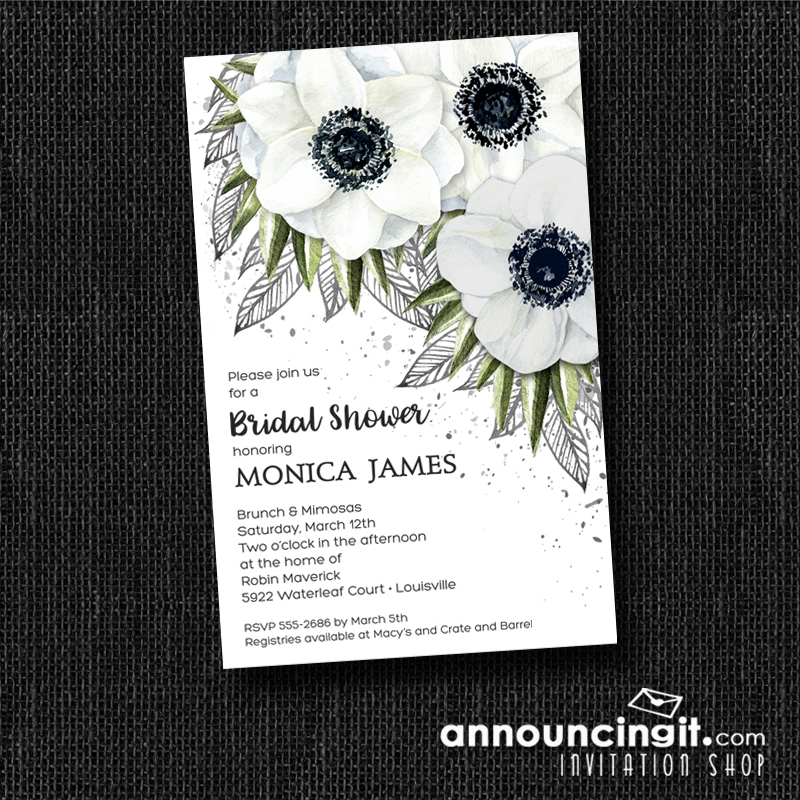 The invitations are printed on shimmery white paper and come with coordinating shimmery envelopes. 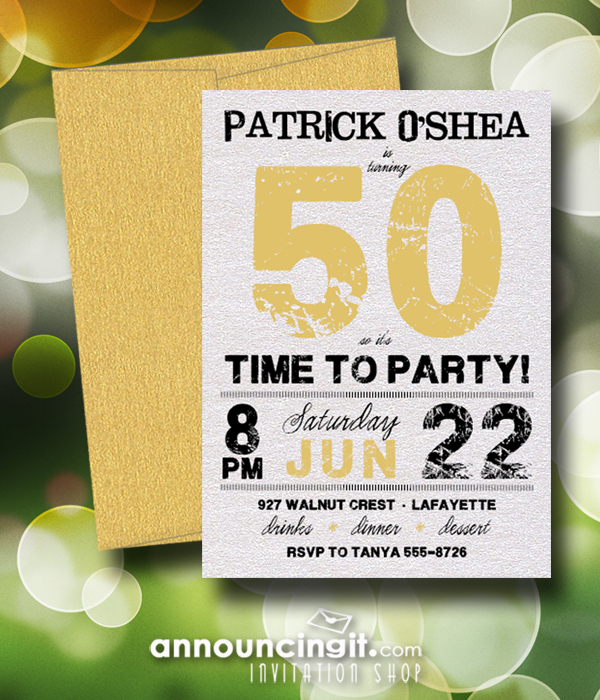 Your invited guests will have a hard time saying no to your party when they receive these invitations in the mail. 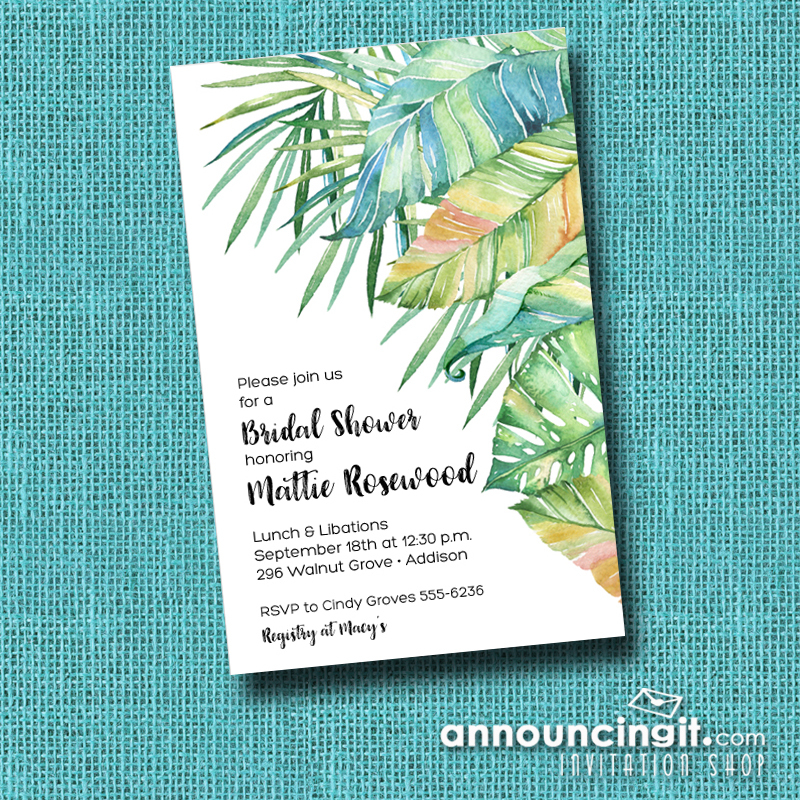 Gold, turquoise and hot pink are just a few of the colors we have available with shimmery envelopes to match. Shhh…it’s a Surprise! 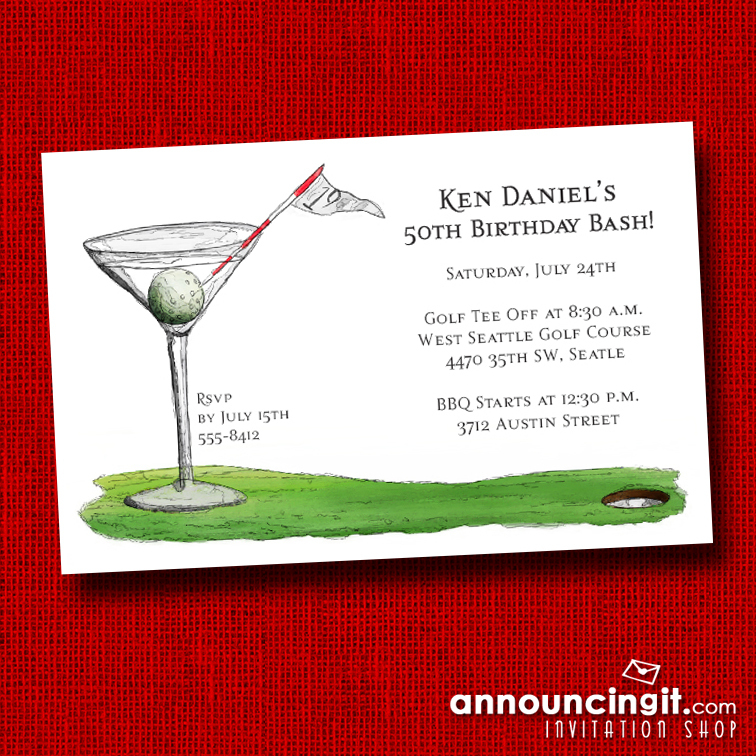 in big red and white polka dot letters let’s everyone not to spoil the fun by letting the guest of honor know of the surprise party. 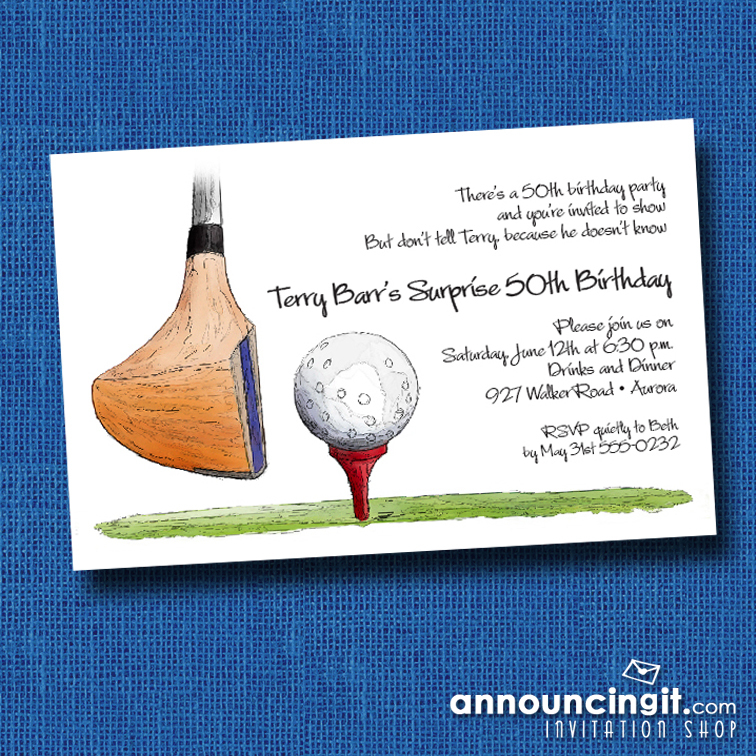 Planning a surprise party can be fun and enjoyable for all of the people who are involved. And, if you and your co-conspirators can keep up the charade until the party happens, then you can also have one very surprised and happy guest of honor. 1. Find out from your guest of honor, or even better from their significant other, what their schedule is like within the time frame you are considering for the surprise party. 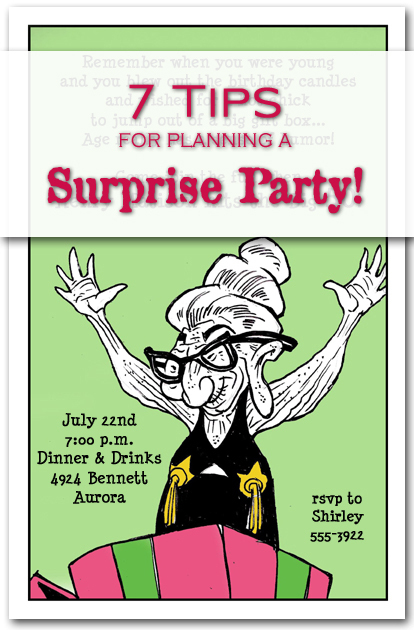 Use this valuable information to set the date for your surprise party. 3. 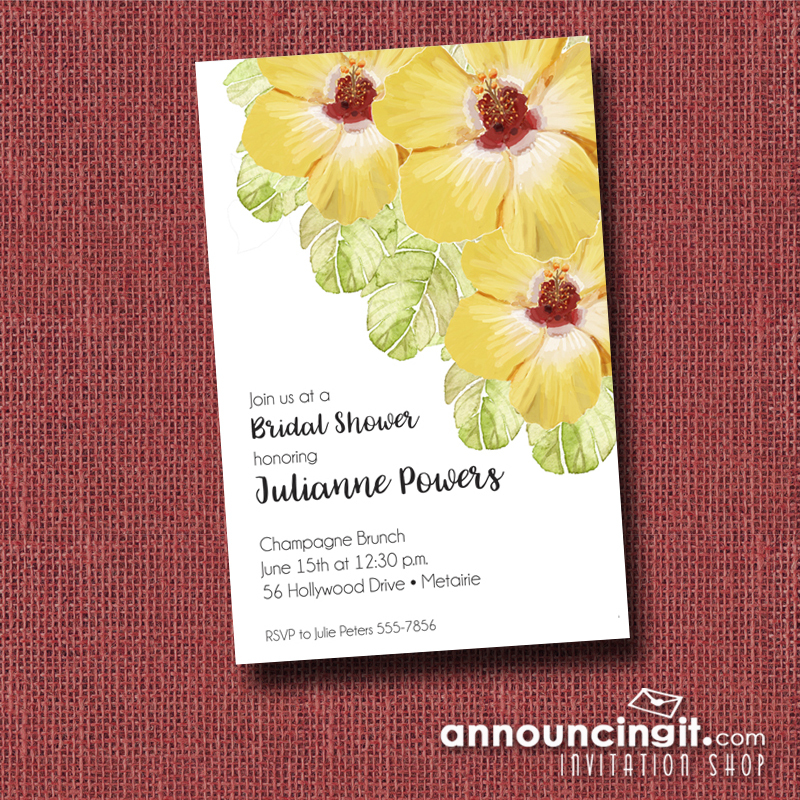 Extend your invitations to all of your invited guests. 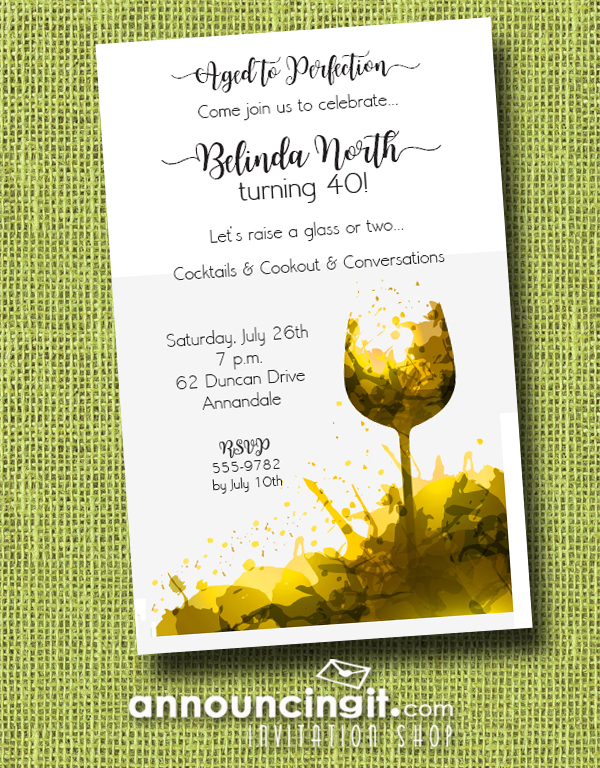 When you make your invitations make sure that each of your guests understand that the party is a surprise and should be kept that way. Ask them to please not share the information with your guest of honor or anyone else who might mention it to them. 4. Come up with a planned event which everyone who may run into your guest of honor can use as a diversion if they need to. However, if your guests don’t think they can “lie” to the guest of honor with a straight face, suggest that they avoid them for the time leading up to the party, whenever possible and practical. 5. 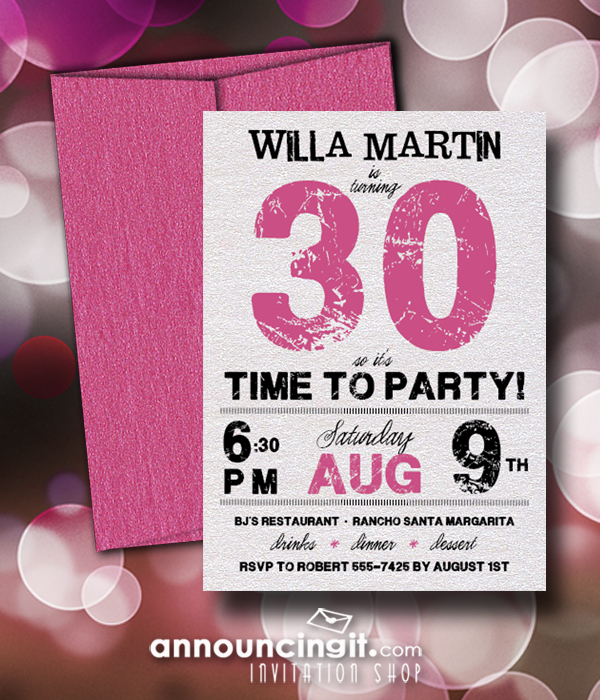 Ask all of your invited guests to arrive at least thirty minutes before you expect your guest of honor to arrive. If your guest of honor generally arrives early to events, then you might want to ask your invited guests to come a bit earlier, just in case. 6. Ask your guests to park down the street and out of sight. The only caveat to this is if the guest of honor believes they are attending another event at your home on that day. If this is the case then it won’t really matter much were people choose to park. 7. Once you have done all of the other things suggested, then the only thing you can really do is pray and hold your breath that no one will slip-up and tell your guest of honor about your planned surprise party. If you take the time to build in some diversions into your plan, you are able to help those who might be asked questions by the guest of honor. This will ensure that they are not caught off-guard and without a good, solid, quick answer to give to any questions that they may be asked. By doing this you can have a wonderful surprise party. Good luck! 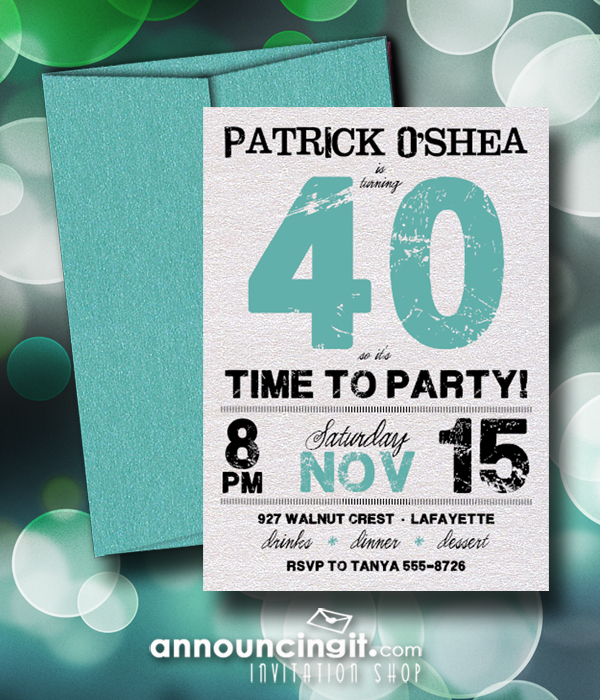 Nautical theme party invitations set the tone for a fun occasion. Maritime invitations appeal to earnest yachtsman, weekend sailboat skippers, salty old sailors, and water enthusiasts of all ages. 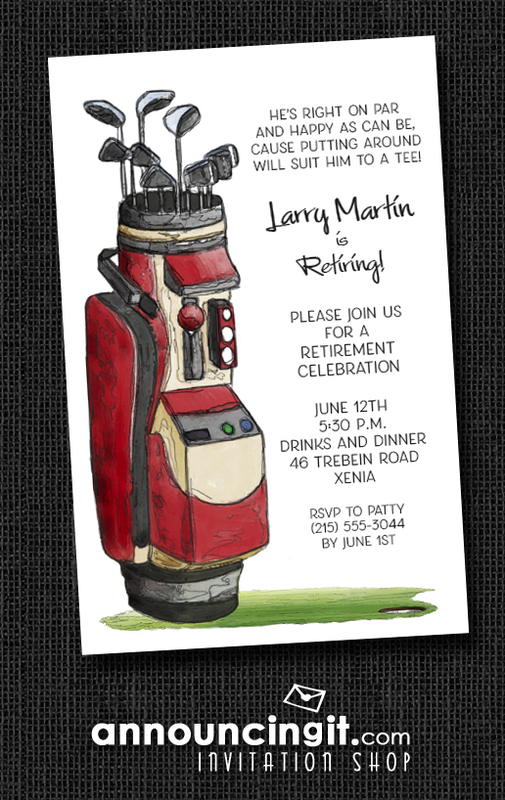 Use a nautical theme design for birthday party invitations, retirement party invitations, water themed moving announcements and more. 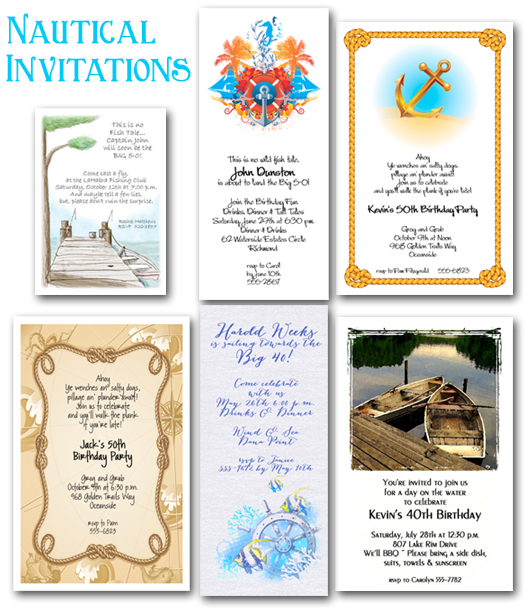 Shop our Nautical Invitations collection today.